Blue, the fashion memo in collaboration with G-Star Raw South Africa brings together a variance of denim hues and textures. It also celebrates the female silhouette and showcases the versatility denim holds, more specifically G-Star denims. 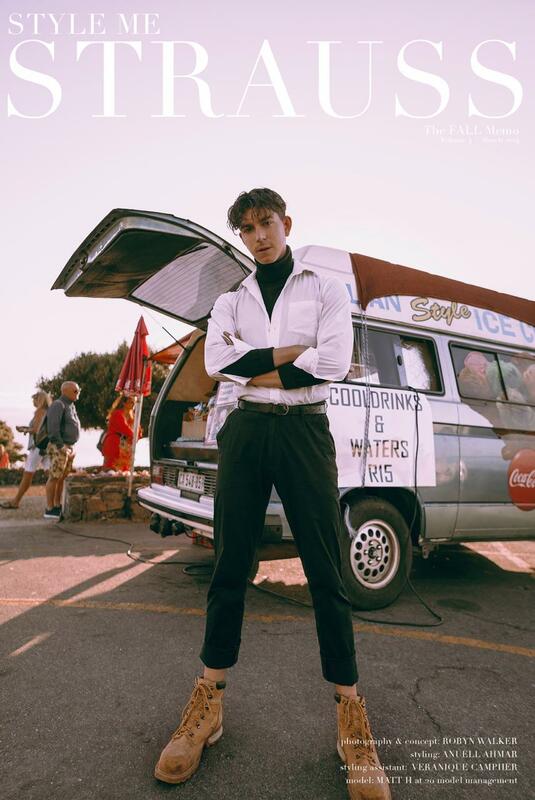 The editorial inspired by the calming nature of the colour blue alluding to the sky, the sea and its calming attributes in a world that is filled with hysteria. Blue focuses on simple styling techniques as to edify each garment in a key-look. The perfectly selected setting, V&A Waterfront, Silo District in Cape Town, introduced a “rawness” to the somewhat raw-rock backdrop which every building has elements of. This also speaks to how G-Star specializes in raw denim—unwashed and untreated denim. Blue also focuses on the utilitarian influence of the brand. The inspiration behind much of their designs has been adopted from vintage military pieces across the world. This can be seen in the use of trims and the special construction of pockets. As the official fashion memo to the December Issue, the editorial brings together a great mix of fashion and authenticity. Body positivity? Body neutrality? What’s going on? you if you identify with being body positive. You are neutral; this means that you accept and tolerate your body despite your perceived flaws, and there are certain parts of your body that you are good with. I think that many people can relate to this, because from personal experience it is often difficult to just jump into a state of not caring what others think or perceive about us. Neutrality’ zone because it is a comfortable place to snuggle up in if you are unsure of how to get to fully accepting/loving yourself. But alas, you cannot stay here forever, simply tolerating your perceived flaws and focussing only on your strengths. While this space plays well in shifting your mind set from a negative to a neutral one, we all ultimately hope that we might love ourselves inclusive of these perceived flaws. Don’t we? I know I do. summed up in one word: freedom. While I can hear this word ring true, I stand by my point that this is a comfort zone where women can feel free of the perceived pressure of loving themselves (as per the body positive movement), but also free of the hate they may have previously felt toward themselves. And that’s why I feel it is an important milestone toward loving the body you have. neutrality movement, is to create your own definition. that I am secretly not fully happy with and I continue to target these thoughts of tolerance and/or negativity. However the body positive movement has afforded me the freedom to love myself (and parts of myself) the way I choose to; not the way I think I’m supposed to. As you can see, each person’s version of being positive toward their body draws on aspects of being neutral as well. As everybody within this movement has said at one point or another: it’s a journey. And luckily there are no set rules to follow because it is your journey. compare your journey with someone else’s. Until next time; much self-love. We are delighted to share the last issue of 2018 with you. We cannot wait to take you into the new year as we prepare to bring you an even better digital experience.